Weight: 2.12 pounds (960 grams). Action: Non-blowback - single & double action. 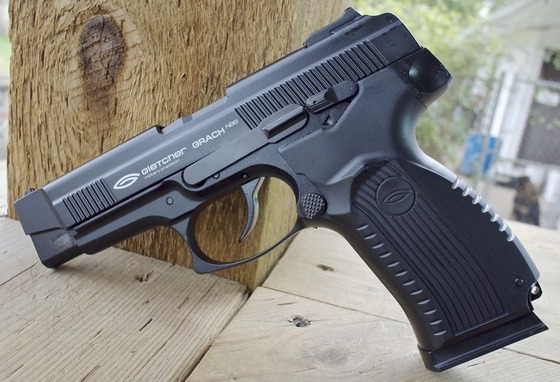 Trigger Pull: The trigger pull on the Gletcher Grach NBB is nice in both double and single action modes. Double action is fairly light as the hammer spring tension is moderate but there is a fair bit of trigger pull length, Racking the slide or pre-cocking the hammer will allow for single action shots which reduces the trigger pull but you still have the full range of trigger take-up before the hammer is released. 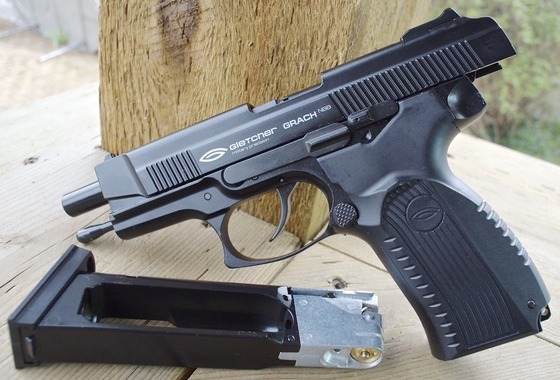 Accuracy: I have done no preliminary shooting with the Grach NBB BB pistol so other than how the trigger feels I can not comment too much on the performance. I would expect to get pretty close to the factory claimed fps based on my other testings with Gletcher products. With it's single action trigger and white dot sights I am hoping for a fairly tight grouping when I perform my accuracy test later on. 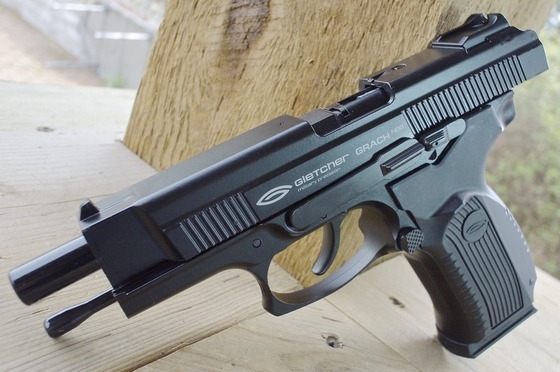 Build Quality: The Gletcher Grach NBB CO2 BB Pistol is well made, the black semi-gloss finish looks really nice and the fit is good, not much of slide wiggle to speak of and pretty much the entire pistol is metal including the frame, slide, trigger, slide catch-release, safety, hammer, magazine and inner and outer barrel. The only plastic parts would be the grips and some internal seals and o-rings. Realism:The Gletcher Grach is a 1 to 1 replica of the Russian Yarygin (MP-443 Grach), all the mechanical parts function just like you would find on the real steel version. The only indicators that it is not a real Yarygin would be the smaller barrel opening since the 4.5mm BB barrel is not recessed at all. Even the weight is near identical to the original MP-443 Grach coming in only 10 grams heavier. Nice light and quick double action trigger, also shoots in single action. Without shooting this gun so far all I can comment on is how nice it looks and feels, the Gletcher Grach NBB really is a well made and detailed CO2 air pistol mirroring the original real steel Yarygin (MP-443 Grach) almost exactly. Pretty much everything is metal on this pistol helping it come in only 10 grams off again of the original. 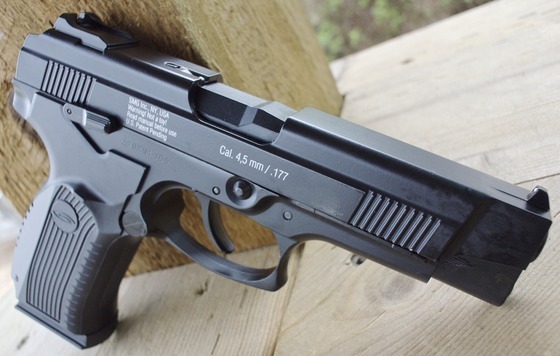 I like the single and double action trigger / hammer and the working slide and slide catch release that locks back when the BB magazine is empty. I am really looking forward to giving this gun it's field test shooting review!